Frank Lake, a Ph.D. research ecologist with the U.S. Forest Service and a Karuk descendant, at the start of huckleberry season. Frank Lake stoops beside a low-growing shrub, cups one hand beneath a cluster of cobalt berries and swiftly claps it to his mouth. The purple-lipped grin he flashes leaves no doubt. Huckleberries. Lake offers me a taste: They&apos;re wilder than blueberries, with a tangy sweetness. Huckleberries are just coming in season, says Lake, glancing around for other fruits to sample on the hillside that rises behind him. Bright green bushes are scattered across a carpet of bronze tanoak leaves. Knee-high bracken ferns spread broad flat fronds at the edges of thickets, where seedling pines and cedars poke out of the undergrowth. Towering above them are 100-foot tanoak trees. Beyond are the rugged Klamath Mountains, a geologically jumbled range jutting along California&apos;s northwest border into Oregon. A distinctive drumming resonates from somewhere up the slope, bringing Lake to his feet with an imitation of the shrill piping call of the pileated woodpecker. As he listens for a response, Lake, a Ph.D. research ecologist with the United States Forest Service and a Karuk descendant, surveys the scene above the Klamath River a few miles from Orleans. He sees what I see: a productive late-summer forest understory. But Lake also sees a supermarket, where Karuk people can gather berries and acorns; a pharmacy, where they can find herbs to treat coughs and inflammation; and a hardware store, with hazel and bear grass for making baskets. For centuries, the Karuk tribe has nudged this interlocking ecosystem toward producing these beneficial plants through practices known as agroforestry. An ancient technology developed through time by the Karuk tribe and indigenous people around the world, agroforestry integrates crops and livestock into the grasses, shrubs, and trees of native forests. After this five-acre stand burned in a wildfire in 2001, Karuk and Forest Service crews intentionally burned the land again in 2016 as a research plot. 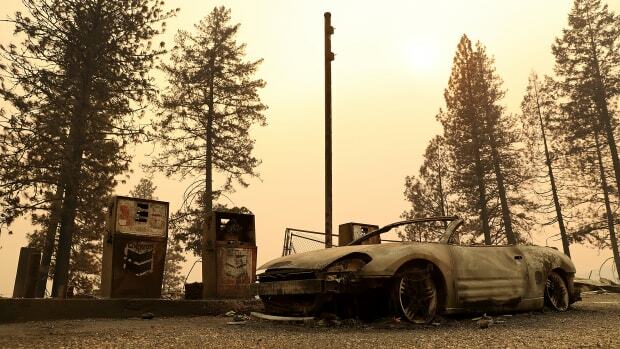 They&apos;re using it to study how fire affects the food and other forest products that have sustained Native Americans in the Klamath River watershed for millennia. 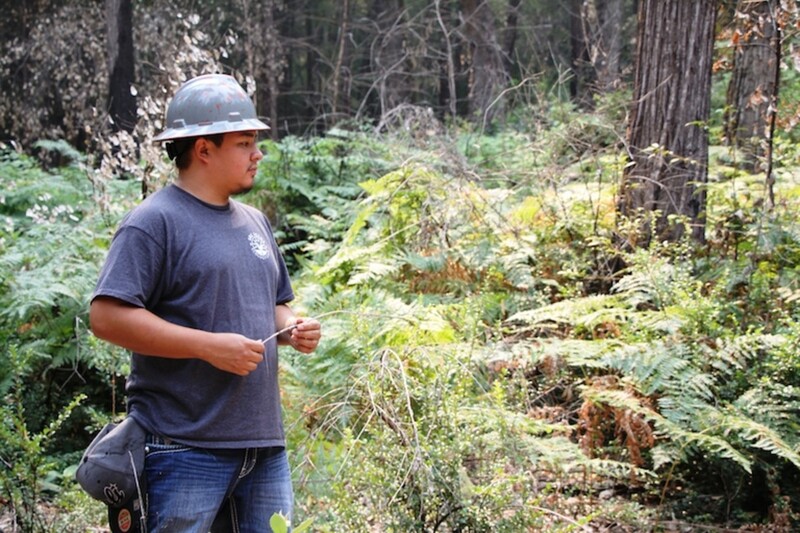 As a summer intern on the Six Rivers Forest, Jonathan White, a student at Salish-Kootenai College in Montana, helped to monitor how plants return to this area, burned in 2016 as a Forest Service and Karuk Tribe research plot. 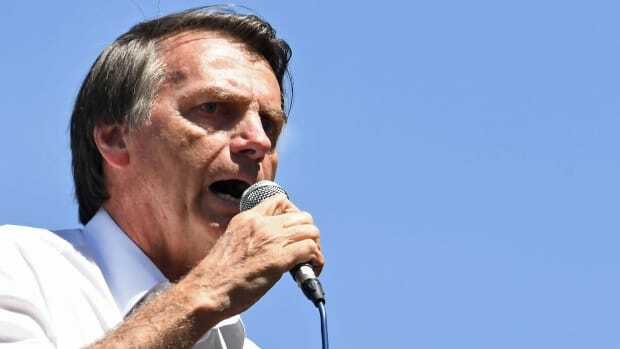 For these tribes, plots like this are "our orchards, our gardens, and we cultivate them with fire," says Lake, a slim man with a crew cut and multiple studs in his ears. This site is part of an ambitious venture aimed at restoring the 2,200 square miles that comprise Karuk aboriginal lands. The tribe is working in collaboration with the Forest Service, the California Department of Forestry and Fire Protection (Cal Fire), the University of California–Berkeley, and numerous other partners to restore the territory, now almost all federally administered, to the functional landscape Karuks once stewarded. Their plans include an 86-square mile project near Orleans, approved in July by Forest Service officials for a management plan that incorporates Karuk traditional techniques. The partners are also using many of the principles of multi-story agroforestry, increasingly popular in the developing world, while reconnecting with tribal ways. Maintaining healthy ecosystems not only assures tribe members of the food, medicines, and materials they need to survive, says Bill Tripp, deputy director of the Karuk Department of Natural Resources, it also embodies a sacred commitment integral to their social fabric, their ceremonies, and most deeply held beliefs. "There&apos;s no reason for us to exist if we can&apos;t fulfill our responsibility to take care of this place," Tripp says. For the tribe scattered along the banks of the Klamath River, salmon and acorns have traditionally been dietary mainstays. Today, neither is abundant. The natural wealth that the region&apos;s 10,000 Native Americans once depended on has been in a steady two-century decline, starting with the arrival of fur trappers and worsening with miners and loggers. As ecosystems collapsed, the Karuks and their downstream neighbors, the Yuroks, were left with their livelihoods disrupted, their ceremonies forbidden, and their cultures disintegrating. Tribal leaders see a direct connection between the breakdown of their social fabric and the precipitous decline in salmon populations, now blocked from spawning grounds by dams. They relate the collapse of community functions to acorn production, which has been poor since the Forest Service introduced management favoring pines over tanoaks. Despite this devastation, during my visit in late August there was a palpable buzz of optimism among Karuk tribal officials—a sense that they are returning as stewards of the land that has always nurtured and sustained them. Most were preparing for the World Renewal Ceremony, held annually to fix the world spiritually and physically. Lake shows me the pelt of a Pacific fisher, a furry, cat-sized carnivore native to the region, fashioned into a garment that he will wear during the ceremony, along with other handmade regalia. These are times for re-embracing traditional knowledge and skills, and reapplying ancient practices, says Lisa Hillman, a Karuk tribal member. "We think we&apos;ve sustained considerable losses since Euro-American contact, but people know more than they think they do," she says. "And collectively, we know a lot." Hillman manages the Píkyav CQ Field Institute, named for the Karuk word meaning "to fix it." The curriculum she helped develop for kindergarten through 12th grade brings acorns, berries, salmon, and other traditional foods into the classroom. It also takes students out of the classroom to listen to elders&apos; stories while they pick huckleberries and gather hazel for basket making. Involving multiple generations in land management helps strengthen local communities and is a significant benefit of agroforestry. "It&apos;s fine to learn about Alexander Hamilton from a book, but we have always learned from the outdoors, and directly from our elders and their stories," Hillman says. She and other tribal leaders throughout the Klamath watershed used a five-year, $4 million U.S. Department of Agriculture grant to build a digital library and community gardens as well as the K-12 curriculum focused on tribal cultural heritage. They also held food production workshops emphasizing traditional foods—how and where they are grown. Now Hillman is working with two federal grants to promote college and career readiness for tribal youth, and study Native food, fiber, and medicinal plants in fluctuating environmental conditions that include persistent drought and devastating wildfires. "Food is connected to all of what we do and who we are as tribal people, and education is key to changing the trajectory of the tribe&apos;s trauma," Hillman says. More than workshops, more than libraries, what the Karuks and Yuroks need to restore their traditional foods and culture is fire. Fire clears oak groves of encroaching conifers and kills the weevils that ruin acorns. It renews the meadow grasses for grazing deer and elk. And fire also allows willow and hazel trees to produce the straight shoots needed for baskets. "Fire is part of everything we do," Bill Tripp says. A heavyset man with pale blue eyes and unruly dark-blond hair, Tripp, 44, got his first lessons on fire after his great-grandmother caught him playing with matches. If he was going to play with fire, she said, he better do something good with it, as his ancestors had. She handed the four-year-old a box of strike matches with instructions to burn a small patch of black oak leaves covering her yard. It took the whole box and the rest of the day, Tripp recalls, but the experience helped teach him how and when to burn, and what fire means to Karuk culture. 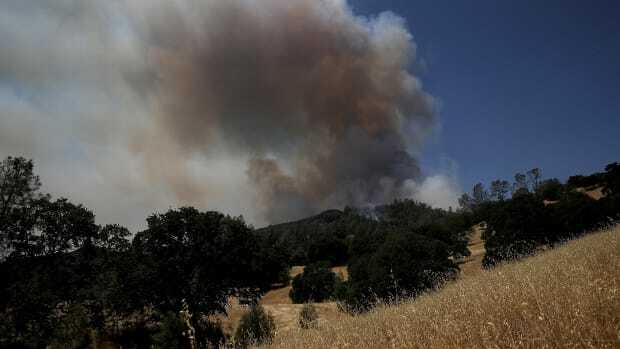 On an afternoon when smoke from regional wildfires fills the air, Tripp drives up a winding dirt road just west of Orleans and stops beside a stand of tanoaks and madrones. Three years ago a crew of Karuk, federal, private-sector, and community partners set fire to this 70-acre stand, one of the few places the Karuk have been able to purchase. 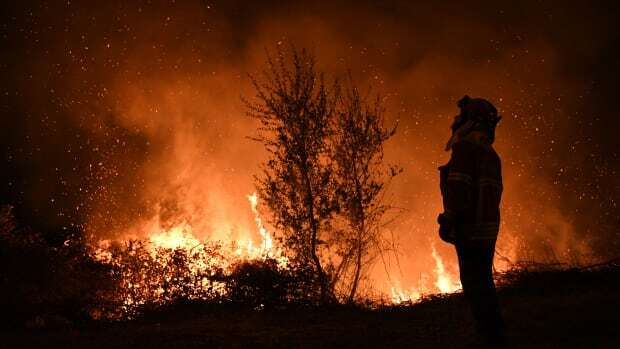 They started at 6 p.m. and burned through the night, scorching invasive Himalayan berries and decades of accumulated fuel on the forest floor. Today, the ground beneath the trees is open, and a meadow just downhill is so lush that elk have claimed it as a calving area. Wild raspberry and trailing blackberry bushes share the forest floor with tanoak sprouts as high as Tripp&apos;s waist. He points out a fire-carved cavity in an orange-red madrone tree—a perfect hideout for fishers, whose population has been declining. Stands like this, and Lake&apos;s huckleberry hillside across the river, mark the beginnings of a return to traditional Karuk forest stewardship that encourages the growth of traditional Native foods including tanoak acorns, camas bulbs, and more. Although they sometimes intentionally planted tobacco and other medicinals, the Karuks focused on using fire at the right time for the right reasons for their essential forest products, Tripp says. Huckleberry and acorn production surges when fire removes the shrubs competing with berry bushes, and encourages tanoaks over pines. The newcomers who began arriving in the 1800s changed the land management in the area radically, but it was the loss of fire on the landscape that proved catastrophic. Rather than the regular use of cleansing fire to encourage the growth of plants the Karuks needed, federal legislation adopted in 1911 called for extinguishing all fires, with a goal of complete suppression by 10 a.m. In the complex tug-of-war then characterizing Native American and U.S. government relationships, a Forest Service ranger dismissed traditional Native American fires as "pure cussedness or a spirit of don&apos;t-care damnativeness." Now, as state and federal officials rethink the role of natural fire, some are starting to recognize the benefits of small-scale burning to both communities and ecosystems. Downstream on the Klamath River, members of the Yurok tribe are working with Cal Fire to return the cultural burns that replenished the forest products their grandmothers depended upon. On another afternoon clouded with the smoke from a nearby wildfire, Margo Robbins and Elizabeth Azzuz are scrambling around on the banks of a dirt road just outside Weitchpec, where the Trinity River flows into the Klamath. Azzuz shouts out at the sight of knee-high hazel sprouts, a staple for Yurok basket weavers. "They&apos;re shooting up like gangbusters," she yells. Robbins, Azzuz, and their partners intentionally burned the area this spring. Like Karuk families, Yuroks traditionally set carefully tended fires in the tanoak groves where generations of their ancestors had gathered acorns. But that ended over a century ago. "We grew up knowing we could be killed for setting fire on the land," Azzuz says. She and Robbins are part of a team working with the Cultural Fire Management Council, created in 2013 to focus on encouraging traditional foods and generating long straight shoots of hazel that local basket weavers had not had for decades. Since their first cultural burn in 2015 they&apos;ve increased the annual burn area to 167 acres. Along with hazel, these controlled burns are rejuvenating wormwood and other medicinal plants, and bear grass for baskets. Acorns, raspberries, thimbleberries, vines for teas, and other edible plants have burgeoned since they began burning. By thinning out forest undergrowth, fires also improve habitat for the elk and deer, important Yurok foods. Fire also benefits salmon. By reducing streamside brush and invasive weeds, burning improves water quality and the amount of water returned to streams where salmon spawn, Robbins says. All this is essential for the health of salmon. 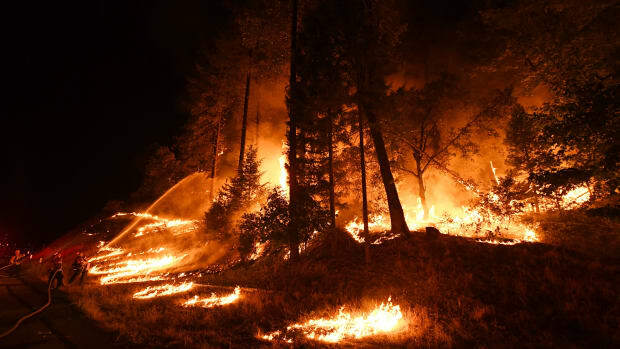 The Cultural Fire Management Council burns are also providing protection from wildfire for communities scattered in the hills along the Klamath. Last year Ken Pimlott, the Cal Fire director, honored the council for its work using burning as a fire-safe tool that enhances the landscape and restores cultural plants. 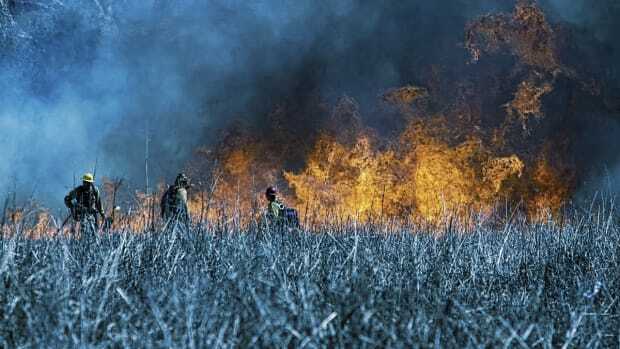 So many people needed to have their own land burned that Robbins and Azzuz began hosting cooperative training exchange sessions using a model initiated by The Nature Conservancy. "We realized we ignited a lot more than hazel," Robbins says. She and Azzuz work with property owners to prepare their private lands for burning. Along with traditional food production, the effort is reviving cultural practices that transcend burning. "Restoration of the land is restoration of the people," Robbins says. As these small-scale burns contribute to an understanding of fire at the level Yuroks and Karuks once practiced it, some state and federal officials are turning to them to guide management on federal lands. The project plan, signed in July by Forest Service officials, marks the start of a new Karuk-influenced management approach that could eventually include the 5,700 square kilometers of the tribe&apos;s ancestral territory. Designed to protect communities from wildfire while restoring beneficial fire, the project was years in development, led by the Western Klamath Restoration Partnership. The Six Rivers National Forest is the first national forest in California to combine the Karuk&apos;s broad, holistic vision with lidar (a laser-based, radar-like technology), geographic information system (GIS) mapping, and other Western technology. Regional forester Randy Moore personally endorsed the project as a model of integrating traditional and contemporary knowledge to help improve forest health across all jurisdictions. As society grapples with learning how to live with fire under changing climate and environmental conditions, Tripp is hopeful that this will be the first of many projects using traditional burning techniques to enhance the safety of communities and conditions for growing native foods. "We&apos;re on the verge of true co-management of our aboriginal homeland. That&apos;s huge," Tripp says, allowing himself a faint smile. 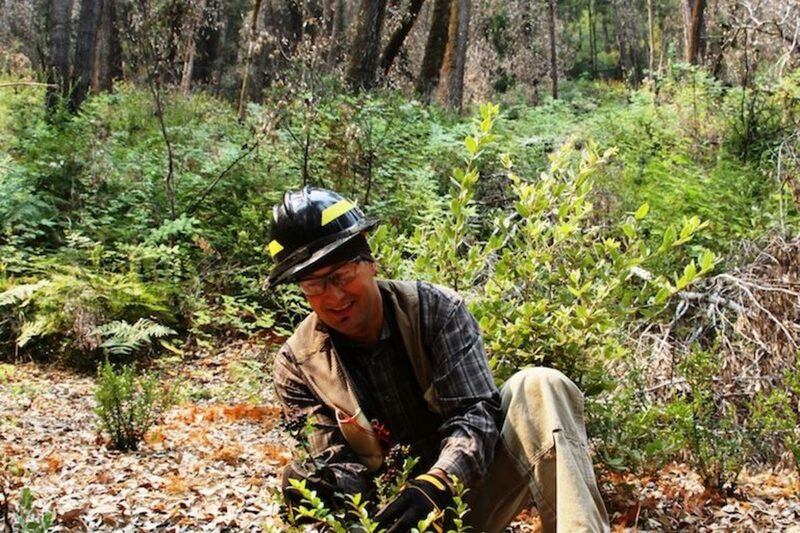 From his spot on the huckleberry hillside, Frank Lake, the Forest Service ecologist, envisions the essential link between fire and the health of both the land and Karuk culture. "If we&apos;re going to restore fish, we have to use fire. If we&apos;re going to restore acorns and huckleberries, we have to use fire," he says. "It&apos;s not just waiting for lightning to strike." This story originally appeared at the website of global conservation news service Mongabay.com. Get updates on their stories delivered to your inbox, or follow @Mongabay on Facebook, Instagram, or Twitter. This article was published in partnership with Civil Eats, the daily news website focused on sustainable food and farming.